Politecnico di Torino - Italy (POLITO) http://www.polito.it/. POLITO is one of the leading technical universities in Italy and through the world. It has 29.300 students on 96 different courses, 18 of them are held in English. This university has great experience in international cooperation with several hundred realized projects. There is very successful cooperation with industry, especially with automotive ones, with the leading companies in this area from Italy and from other countries in the world. There is very good cooperation between this school and the FIAT factory. The first specific objective of the project is the establishment and/or improvement of BSc and MSc studies in automotive engineering in the Republic of Serbia. In 1999 POLITO established a full curricula for the BSc and MSc degrees in Automotive Engineering. This initiative was promoted in strict cooperation with FIAT. This was the first initiative of this magnitude in Italy and introduced a very new modality of education, specifically oriented to engineers who will work in the automotive sector. So the POLITO unit will contribute to project sharing with its Serbian partners in design philosophy, practical implementations, curricula and lesson learned outcomes for the specific study programs in the field of the automotive industry. In addition, as the specific needs of FIAT Serbia will be used in the definition of outcomes of the study programs at BSC and MSC level, POLITO will provide advice and suggestions, based on its long lasting experience. 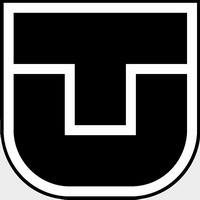 The University of Bologna – Italy (UNIBO) http://www.unibo.it. 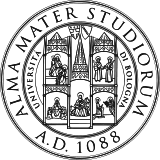 UNIBO (ALMA MATER STUDIORUM UNIVERSITA’ DI BOLOGNA) is the oldest continually operating university in the world. Nine centuries of history has formed great thinkers in science and humanities making Bologna an indispensable point of reference in the panorama of European culture. Education and research are performed widely, cooperating with first-class worldwide institutions and enterprises. Referring to the current project, Bologna offers several important references in the area of automotive engineering, covering aspects such as: conceptual and aesthetic design, advanced methods for CAE, design for quality, use of innovative materials, experimental mechanics, safety and reliability for components and processes, industrial engineering and optimization... Long term collaboration with enterprises as FIAT, Ferrari, Magneti Marelli, Ducati, Lamborghini, Aprilia, Maserati and their technological suppliers transformed Bologna a high level partner for multidisciplinary research and educational actions. The University of Bologna is a relevant institution for education and research, covering several aspects of industrial engineering, including a high-level knowledge in the automotive/motorbike field and urban engineering. Its role is related to the transfer of knowledge and experiences to the partner country, teachers and trainees by: lecturing in intensive courses, supervising students and trainers, accepting researchers in its facilities, arranging study visits... It will advice and help engineers to be involved in product/process development and in design teams in industry. Additionally UNIBO will support partners to reinforce the network with local and international enterprises. Even if the transfer of knowledge and experiences from Bologna is one of the main expectations, also a transfer of the way for skills development in the area of automotive design and urban engineering, similar to Bologna university courses and summer schools is an important expectation. 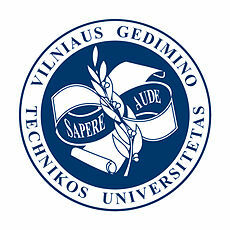 Vilnius Gediminas Technical University – Lithuania (VGTU) http://www.vgtu.lt/ (established 1956.) consists of 8 faculties, 10 research institutes and 19 laboratories. There are about 15.000 students and a teaching staff of 919. For this project the Faculty of Architecture – the Department of Urban Design is the most important. This university has great experience in international cooperation with relevant world universities. Its task in the frame of the project is to help to develop and implement interdisciplinary bachelor and master curricula in urban engineering at Serbian universities. The Department of Urban Engineering will share knowledge and experiences in the development of an urban engineering study program. The study programs (of bachelor and master degree) will be reviewed in order to prove harmonization with EU curricula in this specific field. The Department will help in the training of teachers and impart specific knowledge to the teaching staff of Serbian Universities. Also, the Department in Urban Engineering can suggest how to choose new teaching materials, training and educational facilities in order to provide quality in the teaching and learning process. In addition, its role includes participation in management, quality control and dissemination according to the project proposal. The Technical University of Kosice - Slovakia (TUKE) http://www.tuke.sk/ is the second largest university of technology in Slovakia. It was established in 1952, with the aims to satisfy the needs of Eastern Slovakia in education and research. Today the TUKE has nine faculties and around 16,000 students. TUKE closely co-operates with other universities and with industrial organizations throughout the region. TUKE caters for a wide range of educational needs not only in the East-Slovak region, but throughout Slovakia and Central Europe, as in many specializations it is the only centre of education and research in this area. TUKE closely cooperates with other universities and with industrial organizations throughout the region and the Slovak Republic. The role of our organization for the solution of the DIAUSS project is in the field of waste management and in the assessment of the quality of an urban environment and a measurement of physical factors of life and the working environment, e.g. noise, electromagnetic radiation, dust and vibrations and also the design of elements for the protection of the living environment and a valuation of the automotive industry and its influence on the urban environment. Support for the development of automotive engineering study at Serbian universities is also envisaged. In addition, its role includes participation in management, quality control and dissemination according to the project proposal.